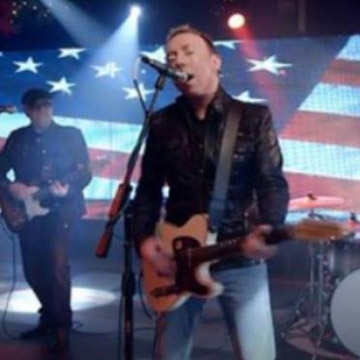 Irish band Hurricane Highway have a cross over American country rock sound. Formed in 2014, they quickly came to prominence with a series of radio hits among them ‘Keep Them Kisses Comin’which became one of the most requested songs on Irish radio in 2015. Fronted by two very experienced musicians / singers Ed Holland and Kevin Collins.They have been joined on some of their recordings by top fiddle player Kurt Baumerof American country touring band Lonestar and leading pedal steel player Sarah Jory,previously with the Van Morrison Band. Continuously recording and releasing high quality records and videos, Hurricane Highwayhave now created a must see big energy live concert show not to be missed.